Event description: Every day new data and examples reveal the burden that pollution places on our health, ecosystems and economies, affecting vulnerable, poor populations in developing countries the hardest. Pollution can take many forms, with chemicals and wastes becoming one of the major sources of pollution if not managed properly. 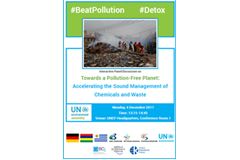 The panel discussion will bring together high-level representatives from partner countries, the UN system, civil society and private sector to present their innovative and forward-looking solutions to beat pollution from chemicals and wastes. The panelists will share their experiences in the areas related to the promotion of circular business models, integrated policies and regulations, multi-stakeholder partnerships, innovation and safe technologies. 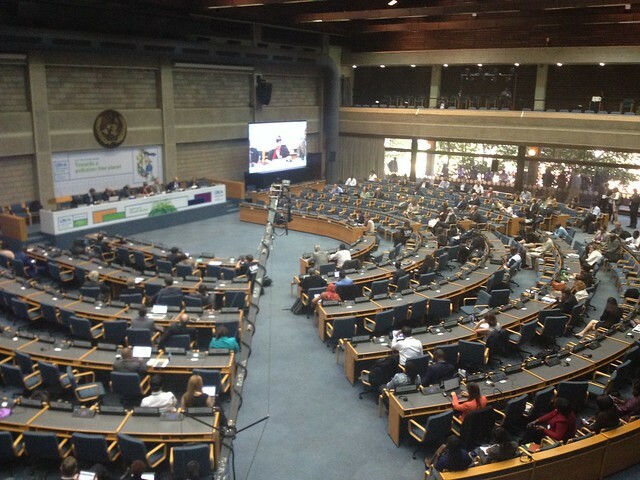 Download the summary of key messages, the programme and flyer of the event , and list of biographies of side event’s speakers. Contact Persons: Marylene Beau: marylene.beau@brsmeas.org; Charles Avis: charles.avis@brsmeas.org. Please visit our photo album and watch the video of our event below for more details.